Thank you for the words of wisdom, Winnie the Pooh. Something has to be done about my sewing rooms before I start working on completing the Brackenridge Park Quilt. I cleared off the table, and put all the sewing notions back in the appropriate places in my sewing room. But my stash bins in the middle room are Out. Of. Control. The whole middle room needs revamping. I still have shelves of teacher stuff that I should have disposed of already. After piecing the top of the Live Colorfully quilt, I realized that it is time to “let go” of most of this stash. 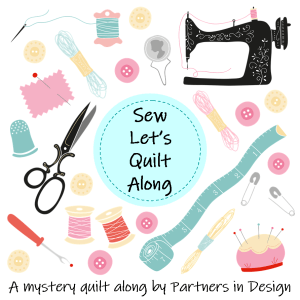 I have used these remnants and minute pieces to make quilts, totes, mug rugs…and there is not much more I can make without getting caught in major repetition. One of my boxes has wonky blocks I made from these same scraps. They are bright and bold, but I just don’t see making another quilt with the same fabric. I think I will just keep these stored away and maybe I will be inspired to use them in the future. As for the stash, my goal is to set aside some time to go through each bin and see exactly what I have. I love the organization idea posted on Quilting Gail. She keeps a tally of fabric using these categories: used by week, used by year to date, added this week, and net fabric. She also keeps a UFO tally. My plan is to weed and sort my stash, yet again. This time, I will do it with more resolve. I ran across this blog, Fabric Therapy, where there is a page dedicated to organization. The blogger, Teresa Rawson, states that organization is personal, which is so true. Then refers to a book by Julie Morgenstein, Organizing From the Inside Out. Morgenstein lists five steps in the organizing process that make sense. Under containerize, it is pointed out that this should not be done prematurely. The other steps should go first, in order to know what you have. My mistake was just putting everything in containers according to color, instead of sorting more thoroughly and purging fabrics that have been used repeatedly. I also thought it would helpful if I kept a record of the quilts I make all in one place. Right now, I have photos of them in different journals. My aunts kept photo journals of all of their crafts. I will continue with the paper/pencil journals and sketchbooks. I just thought I would add a page to this blog and list my quilts, as I have seen other people do on their blogs. Today has been more of a “planning how to organize” day. Tomorrow will be a birthday celebration. Then I must finish the Brackenridge Park Quilt. However, after that is done, no NEW projects until I am organized. Organizing is good. I try not to let it get in the way of actually producing something. This is so true. Producing is higher on the to-do list than organizing. My dad always said everything has it’s place, and I try to put things back as I work.